One of the most evocatively beautiful restaurants I have seen in a long time is Hei Fung Terrace, the Peninsula Tokyo’s Cantonese restaurant. Sister to the Peninsula Hong Kong’s Spring Moon venue, it dazzles diners with its Michelin starred food. It is the design, however, which had me in awe. The interior is based on a Suzhou Garden located in China’s Jiangsu Province and featured on a list of World Heritage sites. 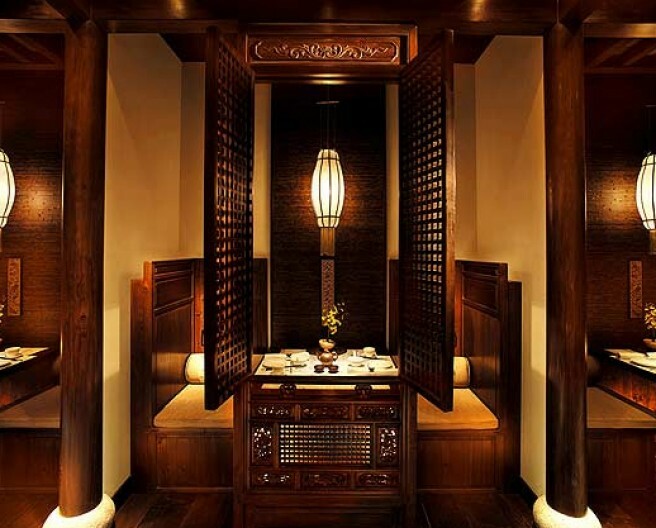 The romantic, intimate spaces includes a chef’s table and private dining room, discreetly placed tables and charming tables for two secreted behind Chinese screened windows. These contrast dramatically with the regal views over the Imperial Gardens across the road.